We are a non-profit hereditary society dedicated to preserving the history of our Mayflower ancestors through genealogical and historical research. Our Society, founded in 1906, was the first State Society in the West. We have over 300 members, and remain active throughout the year. Check out the Pilgrim Times for information on our Summer Picnic. Under the governance of the General Society of Mayflower Descendants, our state society maintains an active public presence, as well as regular membership gatherings which include historical and educational speakers. In addition, we work hard to encourage public awareness of America’s early history through our scholarship program. It is our hope that this site will also serve that purpose. 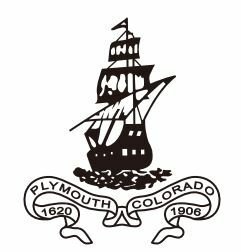 You may be eligible to join the Colorado Society of Mayflower Descendants if you can document your descent from one or more of the passengers on the Mayflower voyage of 1620 that terminated on the shores of New England at Plymouth. The twenty-six Mayflower passengers who are known to have left proven descendants, as well as detailed membership information is included in our membership section. We publish the “Pilgrim Times” which comes out quarterly and has additional information about the Colorado Society of Mayflower Descendants and our events. We hope that you will take a few moments to peruse the pages herein. Whether you are interested in becoming a member, or simply learning more about the history of the Mayflower, we are certain you will enjoy your time visiting our site.